According to Foreign Policy Passport, the world's oldest blogger was born during Victoria's reign. Olive Riley, who lives north of Sydney, Australia, and was born in 1899, just started her blog (or "blob," as she calls it) this month. The 107-year-old great-great-grandmother was born in the British colony of New South Wales two years before Australia became a nation. Has the queen had a nose job? You decide after looking at these photos of the Victoria Memorial in London published by In Soul. I Love Brisbane describes the statue of Victoria that presides over Queens Gardens in that lovely Australian city. The South Shields Daily Photo shows a very imposing Victoria guarding the entrance to South Shields Town Hall. A photo of the queen at St. Nicholas Square, Newcastle, published by Jafabrit's Art. Cunard launches the Queen Victoria in December. This queen of the sea will have a "sleek outline," unlike the original. The Old Foodie notes that Fortnum & Mason was appointed grocer to HRH the Prince of Wales (later Edward VII) on March 2, 1863: "The tradition of recognising tradesmen who satisfactorily supplied the Royal Household by the issuing of a Royal Warrant of Appointment was established in the 15th century. During the 64-year reign of Queen Victoria, she and her large family issued over 2,000 Royal Warrants." 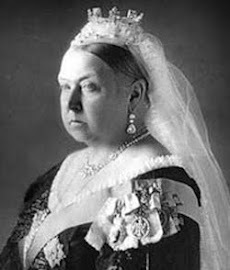 At foodgeeks.com, you can find the recipe for "the only soup ever eaten by Queen Victoria." In the web-based comic strip The New Adventures of Queen Victoria, Queen Victoria comes back to life to comment on the ways of the modern world. "She is fusty. She likes to complain about new things, even as she tends to get roped into them with an antique enthusiasm. And she hates the French with a passion ... She is assisted by her son Edward and her chaperone Maurice. They help her as she tries her hand at National Novel Writing Month, attempts to purchase a Wii, struggles with the cancellation of her strip thanks to low ratings..." (from The Ferret) This is a queen who participates in Victorian Idol and goes into mourning when The O.C. is cancelled. Hilarious. 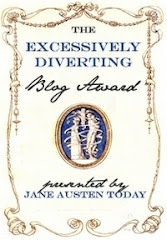 Thanks for the reference to my blog, and for all of these marvellous references to Queen Victoria. Your research is exemplary! !